​Chelsea head coach Maurizio Sarri has claimed that his team are not below the level of the England national team, and would be capable of beating Gareth Southgate’s side. The Italian has admitted that he took little interest in last summer’s World Cup in Russia, insisting that any of the biggest club teams could beat the top international sides. BREAKING: Chelsea manager Maurizio Sarri has accused Bayern Munich of a lack of respect over their pursuit of Callum Hudson-Odoi. 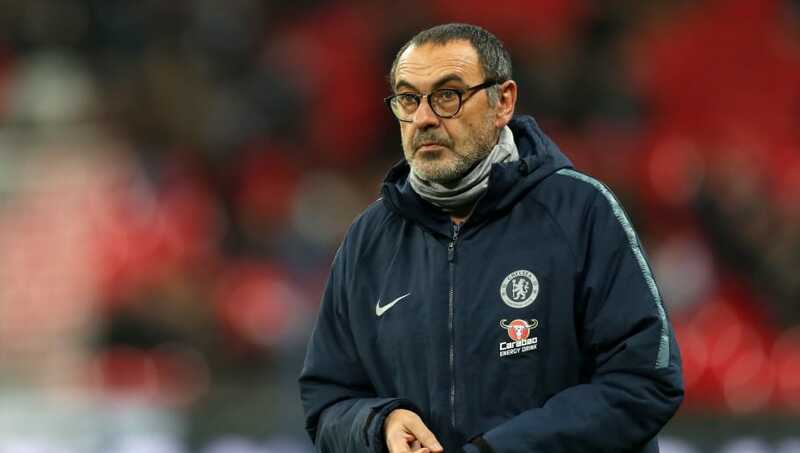 Sarri conceded that ​Chelsea are not yet the complete side but, as quoted by ​BBC Sport, the 60-year-old argued: “Our level is not less than the England national team. We can draw, we can lose, we can win. Maybe [I have had] more time than a national team but not enough to organise the team as I want. Chelsea were well represented at the World Cup, with two Blues stars featuring in the England setup alone during the summer, but Sarri has insisted that he is among many other coaches who do not pay much attention to international football. “Every coach thinks like me,” Sarri claimed. “It is unusual to say it. It is impossible to organise very well a team in 30 days. Every team in the World Cup will lose against the top-level club teams in every match. Maurizio Sarri believes all international sides would lose against a top-level club. Chelsea are enduring one of their more difficult runs under Sarri of late, having won just one of their previous three matches in all competitions. A 0-0 draw at home to ​Southampton last time out in the Premier League was followed by the Blues recent 1-0 defeat away to ​Tottenham in the Carabao Cup, and Sarri revealed that he takes the unusual measure of getting his hair cut every time his team loses a game. Chelsea host ​Newcastle United at Stamford Bridge as the Blues return to Premier League action on Saturday, with Sarri’s side hoping to avoid making it three consecutive home games in the league without scoring for the first time in 25 years.